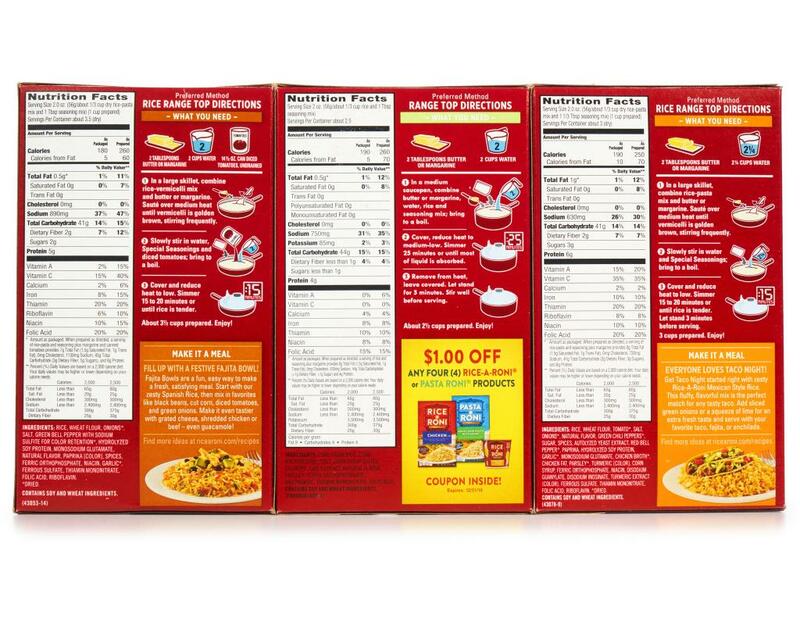 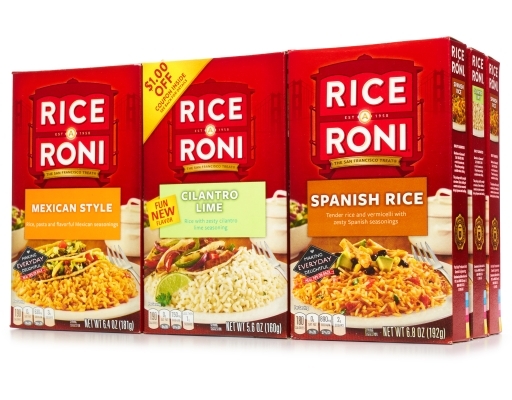 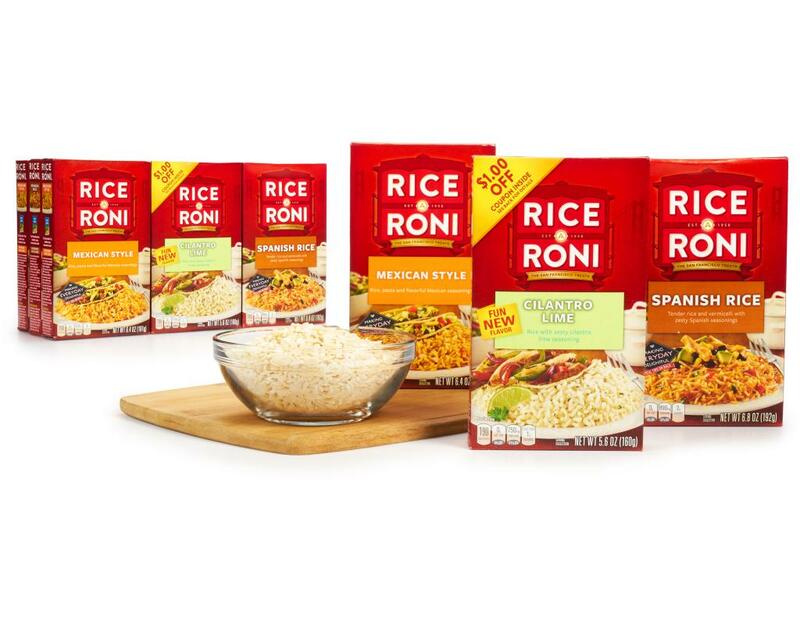 Rice-A-Roni products combine rice, pasta and the perfect mix of seasonings to create delicious, family pleasing side dishes and main dish recipes. • 4x Spanish Rice: Treat your family to a flavor fiesta with this tender rice and vermicelli blended with Spanish seasonings! • 2x Cilantro Lime: Rice with zesty cilantro lime seasoning. 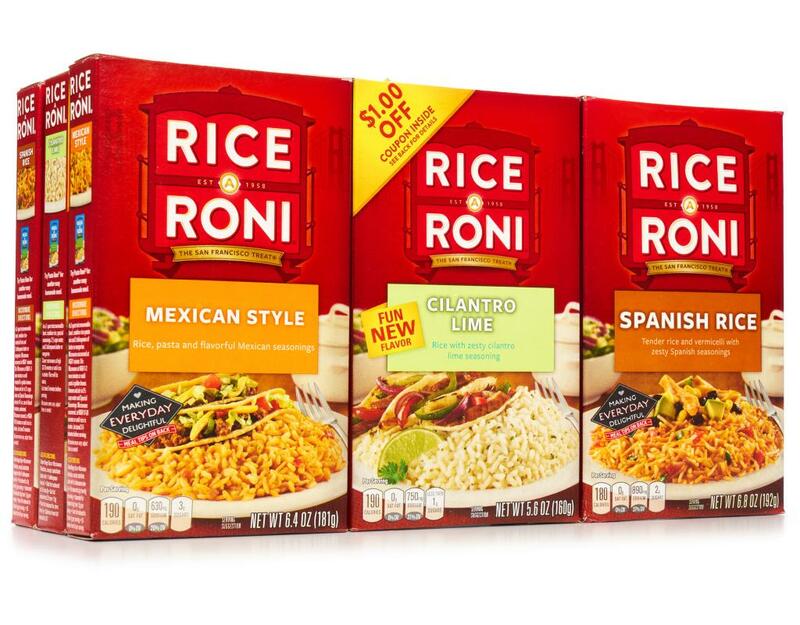 Take Taco Night to the next level when you serve this flavorful rice seasoned with cilantro and a splash of lime! 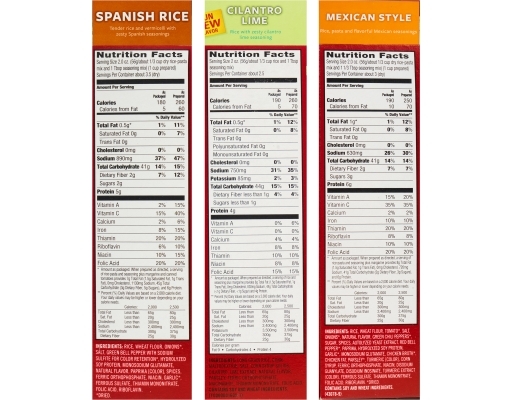 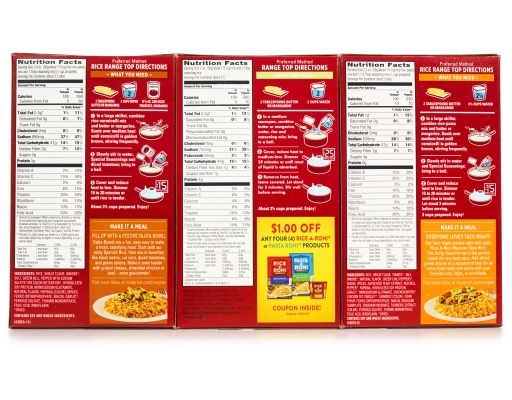 • 4x Mexican Style: Rice, pasta and flavorful Mexican seasonings. 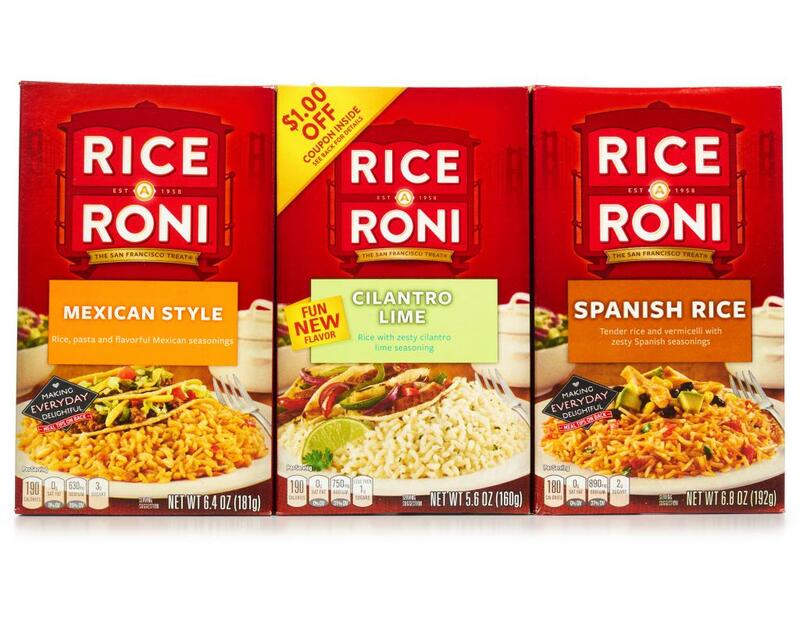 Add some zing to your family’s favorite Mexican meals with this rice and pasta blend seasoned with tomatoes, green chili peppers, red bell pepper and paprika!